Does the Caveman Diet Work? Healthy weight loss should be 1 to 2 pounds per week, which can be achieved by cutting calories from your diet and getting more exercise. The Six-Day Diet was created by Michael Thurmond, a personal trainer on the television show "Extreme Makeover." 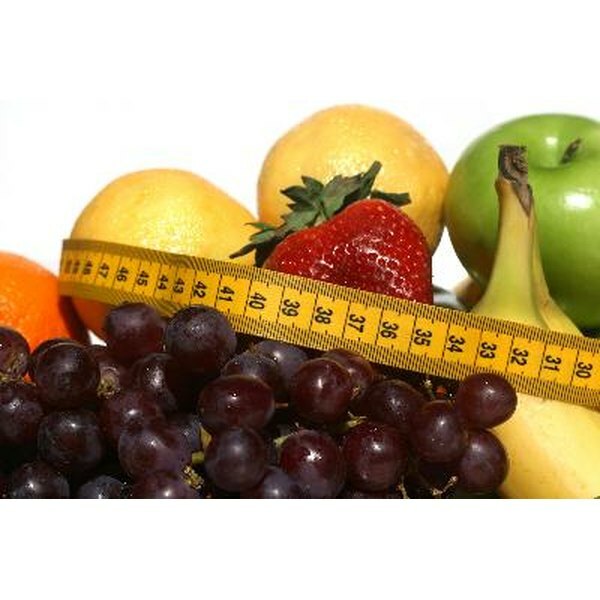 It is a fairly restricted diet in terms of calorie intake but could give you successful results. Always talk with your doctor before beginning a diet program. To get started on the Six-Day Diet, you fill out a questionnaire that helps you determine how your metabolism works. Then you create a makeover plan, which helps you choose foods that will aid in your weight loss goals and target any problem body areas you struggle with to keep slim. The diet claims that you can lose 10 pounds and drop a dress or pants size in just six days. This is done by restricting calorie intake to 1,200 per day. This promise is beyond the healthy weight loss recommended by the Centers for Disease Control, but it could be a good choice if you need to lose more than just a few pounds. The meal plans and recipes Thurmond provides for the diet don't contain much variation, which could result in boredom. However, since the diet is only supposed to last for six days, you may find that this is not a problem for you. Foods that are recommended on the Six-Day Diet include chicken and turkey breast, egg whites, tuna, lean beef, whole grains, sweet potatoes, beans, fruits and vegetables. You will eat six small meals per day, each of which should include protein. Your meal plans will depend on the results of your questionnaire. Dieters are also encouraged to drink 12 glasses of water every day. A good diet will advocate exercise as part of healthy weight loss. The Six-Day Diet plan recommends getting 60 minutes of slow-paced exercise five days per week. The reason you could lose up to 10 pounds by following this program is likely because you are getting plenty of physical activity and cutting way back on calories. Talk with your doctor before starting a new exercise routine. One of the problems with a diet that restricts calories the way the Six-Day Diet does is that you are likely to lose mostly water weight, which will pile back on once you are done with the diet. Restrictive diets are also difficult to stick with, making it harder to reach your goal. Gradual weight loss is more conducive to maintaining a healthy weight once you have lost the unwanted pounds.